Live entertainment: Rossini’s often has performances from local jazz, classical, and acoustic musicians. About: Rossini’s is one of Chatham’s oldest restaurants. Founded in 1948 by Carlo and Amalia Rossini, the restaurant has grown from the original 30 to 150 seats. Amalia, “Mamma Rossini” longed to recreate the warmth and ambiance of the family home in the Fruili region of Italy, and hence, our “fogolar” or hearth was built in the new dining room. In Italy, this fireplace gave light to the house as well as warmth, a fire to cook on, and a place to gather; relax and share the events of the day. Mamma passed away in January 1995. Bill and Jean Rossini continued to run the family operation using her original recipes. Ed, Berta and Devon Prelaz purchased the restaurant in 2003 and will continue to carry on the traditions of Carlo, Mamma, Bill and Jean. We hope that the fogolar and the decor that surrounds you will recapture the genuine hospitality, warmth and friendship of an old Italian home, where family and friends would gather to enjoy delicious home cooked meals, good wine and happy times. 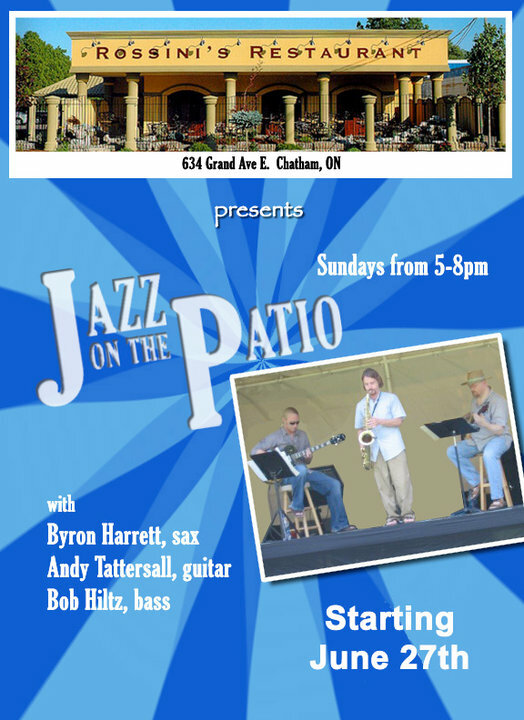 Every Sunday evening through the summer of 2010, Rossini’s presents live jazz music on their patio.